The foundation of the strong image of Bentley was laid in the 1920s. “Win today, sell tomorrow” was a tried and tested way to boost car sales. From the very beginning, W.O. Bentley followed this market strategy. By participating in races at home and abroad and by achieving success in these competitions, W.O. Bentley created a sporty image for his cars. The 4.5-Litre, for instance, was advertised as “The British Thoroughbred Sports Car”. After the takeover by Rolls-Royce the production was temporarily suspended. The cars that were made in the factory in Derby starting from 1933, were technically based on those of Rolls-Royce. They were advertised as “The Silent Sportscars”, but were comfortable touring cars rather than real sports cars. As a result, there is a difference in appreciation and therefore in price between a W.O. Bentley and a Derby Bentley. The Bentley R-Type Continental Fastback was at the time of introduction in 1952 the fastest and most expensive sports saloon in the world. From this perspective, it’s no surprise that it’s attracted a great level of interest from enthusiasts. The appeal of the car’s excellent performance is self-evident, but this also applies to the coachwork. The shape of the coachwork can be traced back to the early 1930s. To improve the streamlining of the motorcar, designers based their design on the shape of a water drop. An example was the Cadillac V16 Aero-Dynamic Concept Car, shown at the 1933 World’s Fair in Chicago. In the late 1930s and early ‘40s some manufacturers produced a streamlined Saloon series, which were hugely successful in the US market. Examples include the 1941 Buick Sedanet and the 1941 Cadillac Series 61 Coupe. Shortly after the war, new models appeared with similar coachwork, such as the Chevrolet Fleetline and Pontiac Silver Streak. These American cars affected the designs of post-war European cars – among them the Peugeot 203, Saab 92 and Volvo PV544. Coming back to Bentley, chief project engineer Ivan Evernden and designer John Blatchley were tasked to create a lightweight, aerodynamic Bentley capable of carrying four adults in supreme comfort. The car was intended to provide a speedy drive on the new high-speed motorways of Europe. Blatchley came from Gurney Nutting, where he had been chief stylist since the mid-1930s but in the styling of the Bentley Fastback he was also inspired by the recent American designs. The prototype of the Fastback was made by H.J. Mulliner in 1951. A year later the car went into production. Just like the pre-war green 4.5-Litre Tourer by Vanden Plas, the R-Type Fastback by Mulliner swiftly became an iconic model. Fast-forward to the present day and we’ve seen the prices of the Fastback increase tenfold in the last 15 years. Most popular are the later versions with the 4.9 litre engine and manual gearbox. 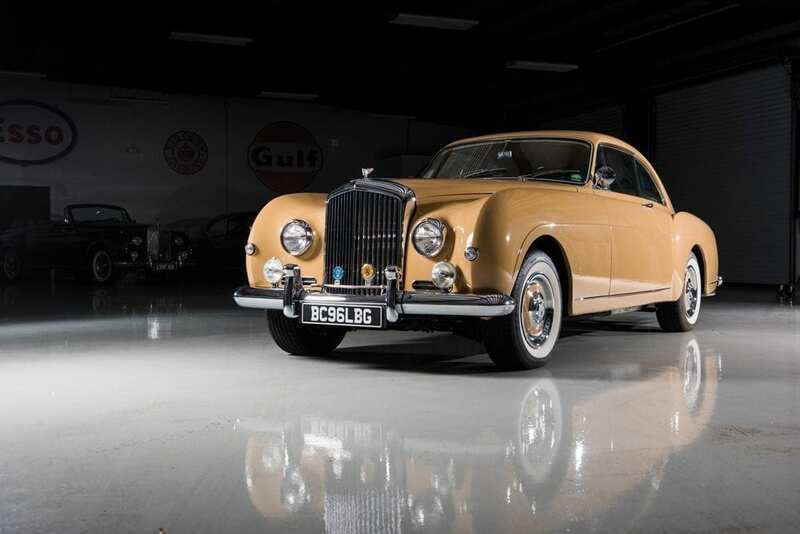 In 2001, RM Sotheby’s auctioned a 1954 R-Type Continental, which sold for $170,000 (£120,000). From 2001 to 2010, only a small number of cars were sold at auction – an average of one car per year during this period. As a result of this limited supply and increasing demand, prices gradually increased. Starting from 2010, the offer and sale prices rose further. In 2013 three cars were auctioned. 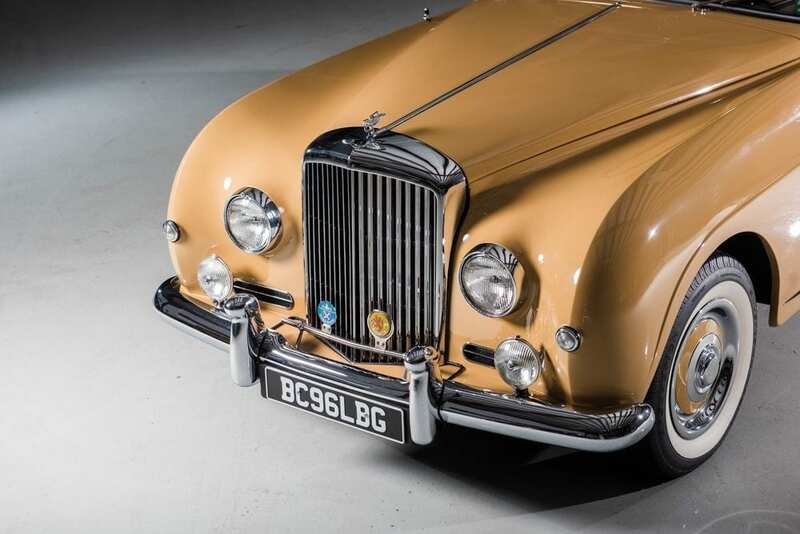 One, sold by Gooding & Company in August 2013, was a restored 1954 Bentley 4.9 litre left hand drive, which sold for $1,980,000 (£1,267,000) – a new auction record. 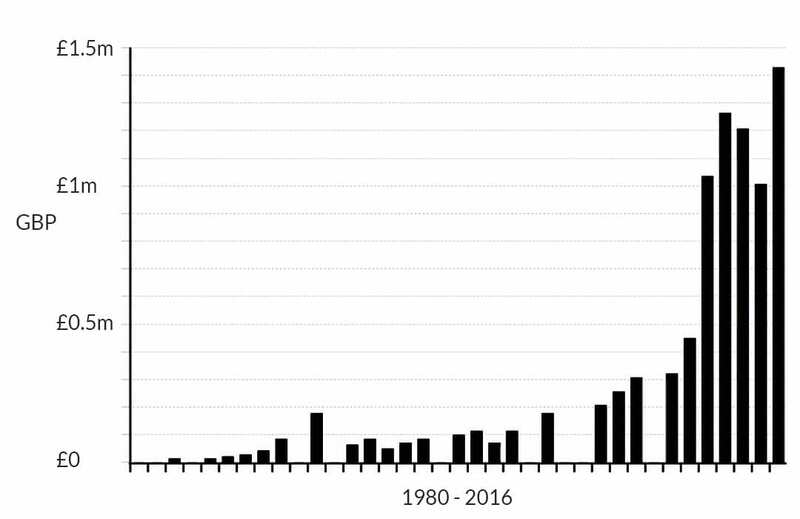 In the following years more cars were offered at auction, with at least six in 2015. But the bids did not surpass the record amount and the prices realized at auctions dropped. 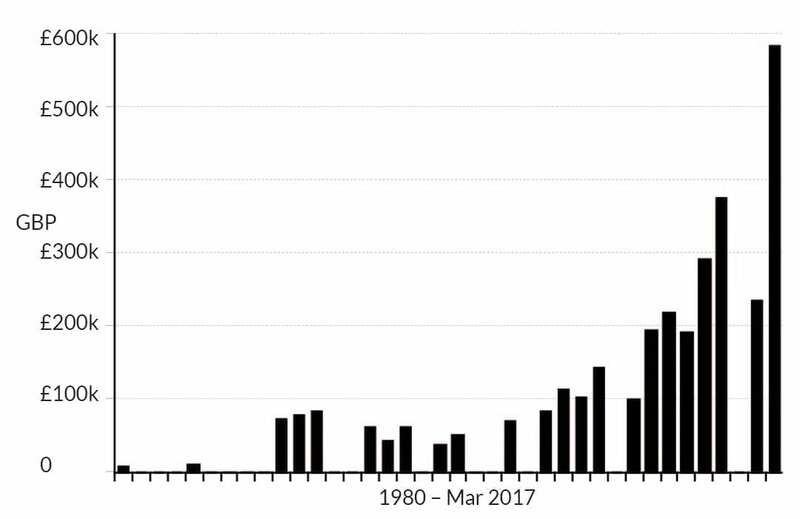 The recovery began in 2016. Two cars were auctioned for more than $1.8 million each – a price that is still below the 2013 record in US$, however with the recent currency values taken into account, the $1.87 million paid at RM Sotheby’s in August converts to a £GBP record of £1.4 million. The prices of the Bentley S Continental Fastback are lower than that of the R-Type. In the 1980s and ‘90s, the auction results of the S Fastback were about one third lower than the R-Type. From 2000 to 2010, the difference in price widened to see the S valued at half the value of the R, and from 2010 the difference rose further. However, in March 2017 RM Sotheby’s auctioned a Bentley S Continental Fastback by H.J. Mulliner for $781,000. Converted into English pounds it was over £640,000 – a new auction record for that model. Why such a difference in levels of appreciation? The R-Type Continental is the original model. It was built for speed. For these reasons the car gets the most attention in magazines (and indeed from enthusiast). The S Continental Fastback was based on the predecessor and naturally gets less attention, and it would be fair to say that by the time of its introduction in 1955, its design was already somewhat dated. When considering future values, however, it should be noted that the S Fastback was built in lesser numbers and is therefore rarer. In total, Mulliner made 193 R-Type Continental Fastbacks (153 RHD and 40 LHD). The S Continental Fastback numbered just 151 (123 RHD and 28 LHD). And for the collector who appreciates a true ‘luxury’ car, the S Continental offers more comfort, having been built for long distance touring, with electric windows, air conditioning and automatic transmission (power steering became standard in 1956). In the past ten years, both Fastbacks have rapidly increased in value. However, given the large price difference with the R-Type, it seems that the S Continental is somewhat undervalued – as the current gap in price between these models seems too large. 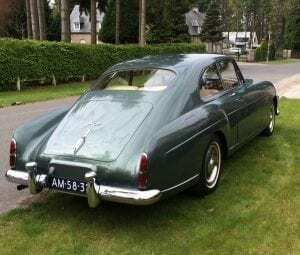 1954 Bentley R-Type Continental Fastback by H.J. Mulliner, auctioned by Bonhams on 29 June 2012 for £ 628,700, photo Bonhams. 1957 Bentley S Continental Fastback by H.J. Mulliner, auctioned by RM Sotheby’s on 10 March 2017 for $ 781,000 (£ 642,000), photo Darin Schnabel, RM Sotheby’s. I bought my first S1 Continental in 1984 and am now with my 7th Continental (also an S1 “Fastback”) having owned an “R” continental and 4 other S series H J Mulliner cars since. I’m drawn to the sheer craftsmanship that goes into creating these cars, as well as their comparative rarity. I also think that they are extremely stylish and murmur taste, instead of shouting wealth. I once owned a rare S1 Fastback with a manual gearbox, 1 of c. 8 made, which I didn’t like! The gearing is just too high, especially in first gear. It is fairly marginal in an R type with a manual box (though that was and is my preference with that model) but the S1 is heavier and the combination of extra weight, a “tall” back axle and a high first gear makes them difficult to get off the line without slipping the clutch or experiencing slight judder. I have tracked values and all S1 Continental sales over the past 30 years have consistently made two-thirds to 70% as much as an R in comparable condition. With better Rs now easily making £1m+ the S1 is undervalued despite the recent climb in value. I think they have some way to go and I’m surprised they are not already more expensive. The best from a top dealer are already “knocking on the door” of £2/3m and with several in collections or, in the case of a few, with the families of the extremely rich first owners they are hard to find… especially a good one. My advice for any prospective owners of the Fastbacks is to go for it; they are both wonderful. With a saner head I’d say that there is still investment potential, possibly yet more in the case of the S1. This is because the ratios of R to S1 Fastback values are below those typical over three previous decades. I am sure that the S1, even if the (slightly) less iconic car, has some catching up to do. Things to consider, though: With an R, autos and heavy seats are seen as far less desirable than the earlier cars which were mainly manual and had lightweight bucket seats. With the S1, finding a car with a chassis that is sound and has never needed repairing is hard. P & A Wood wouldn’t, 20 years ago, contemplate dealing in a car that had or needed chassis repairs. Today, with so few coming to market, repairs are seen as acceptable but never as desirable (by those who know). I feel that the incoming generation of collectors are not keen buying pre-war or early post-war cars. Speaking for myself, 20 years ago I did not look at post-war cars. 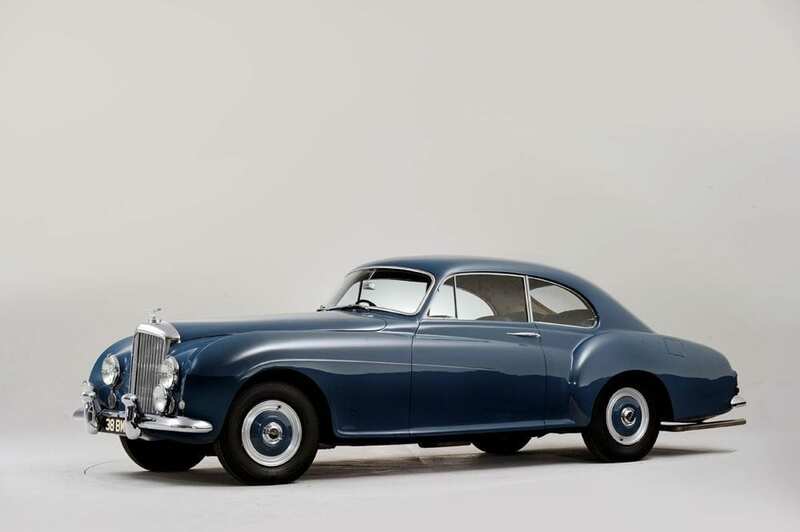 Now I find that the early post-war cars are not so different from the post-war designs, but with the R type Continental there was a totally new generation of design. Beside that it is great car to drive, even in modern traffic. I am not surprised by the recent auction results. Ten years ago I could buy a S1 Continental Drophead Coupe for £250,000, but I found it too expensive. Now the car has sold for £1 million more. Last year I bought an S1 coupe for €300,000, from which I think there is good chance it is a good investment as the drop head coupe is exactly the same design and a million pounds more expensive! For a potential buyer or collector, I think it’s important that you first have to appreciate the look of the car, as there is no guarantee that you can sell it with a healthy profit within only a couple of years.